Piedmont Heights Civic Association - PHCA Annual Meeting 2017 - Thank you! PHCA Annual Meeting 2017 - Thank you! "Great PHCA Annual Meeting today! Our keynote speaker Dr. Meria Joel Carstarphen (Superintendent, Atlanta Public School) did a fantastic job outlining APS’ vision, mission, current state of the schools in Grady cluster and plans for renovation. 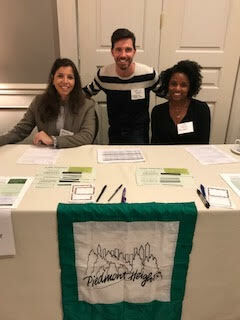 Thank you Dr Carstarphen, Meg Anderson, other presenters, the attendees and the volunteers for taking time out of your Sunday to spend with Piedmont Heights residents!"